Our flexible hardware platform concept, enables smooth integration of your sensors of choise with Low Power Wireless Access (LPWA) modems such as LTE Cat-NB1, Cat-M1, Sigfox & LoRa. Based based on our toolbox of embedded software modules we are able to speed-up the development time significantly. Our modules offer API for standard cloud solutions such as AWS, MS Azure ect. End-to-end encryption is vital for most IoT applications. Our solutions offer encryption and securered connectivity to the cloud. NB-IoT provides the basis for revolutionary low power communication solutions for health care, smart home, traffic, logistic systems, or industrial applications. To secure a seamless, power efficient and secure data exchange the 3GPP has released the Narrow-Band Internet-of-Tings standard (NB-IoT ). This is a complete new, low power cellular communication standard that is part of the LTE communication standard-family. The world-wide communication industry is very much committed to NB-IoT. The NB-IoT cellular communication technology is using available LTE network infrastructure worldwide and is designed to operate in a wide range of environmental conditions. The NB-IoT technology provides the basis for revolutionary low power communication solutions for health care, smart home, traffic, logistic systems, or industrial applications. NB-IoT networks are being rolled out around the world in record time. Entrepreneurs with experience in technology, business development and sales. After his PhD at the Dresden University of Technology, Matthias Stege founded his first company, Signalion, together with other colleagues. The company was successfully sold to National Instruments in 2012. 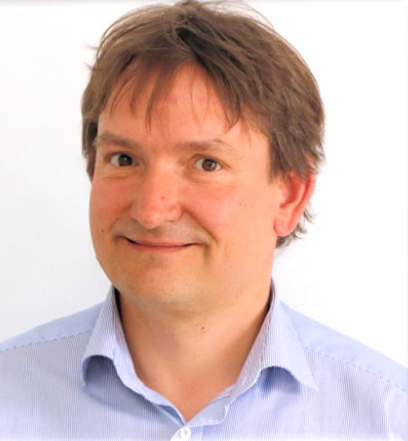 Matthias Stege has extensive experience in business development and sales and he is therefore CEO and heading the sales team of exelonix GmbH. Dr. Frank Schäfer has graduated at the Dresden University of Technology. In 2004 he founded In-Circuit GmbH. After salling the company in 2006, he was the development manager of Digades GmbH. From 2007 to the founding of exelonix GmbH, he worked as a freelance technical consultant for well-known companies such as Alcatel, Agilent and Intel. 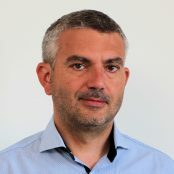 At Exelonix, Frank Schäfer is responsible for the development. Frank Oehmichen is a graduated physician and internist. Since 2004 he has heads a department of the Bavaria Clinic in Kreischa near Dresden. In addition, he holds a professorship for „Ethics & Social Medicine“ at the Evangelical University of Dresden. Frank Oehmichen advises the management in the area of E-Health and medical product marketing and has a comprehensive network of medical service providers. 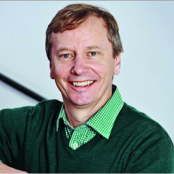 Gerhard Fettweis heads the Endowed Vodafone Chair at Dresden University of Technology. Exelonix is already its tenth start-up. Six of these start-ups were sold to enowned companies such as Intel, Philips, or National Instruments. 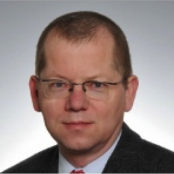 Gerhard Fettweis is also active in various supervisory boards of technology companies.